See all of the past entries of All-Ages or Small-Ages here. There are a wide array of all-ages comics out there from the classic Archie comics, through the Sonic the Hedgehog and Disney, all the way to the original properties such as Lumberjanes. You might look at one of these books and think that, as an adult, it doesn’t have much to offer you. As someone who has discovered a deep fondness for titles such as this, I’ve been surprised by how rich and complex the stories can be. 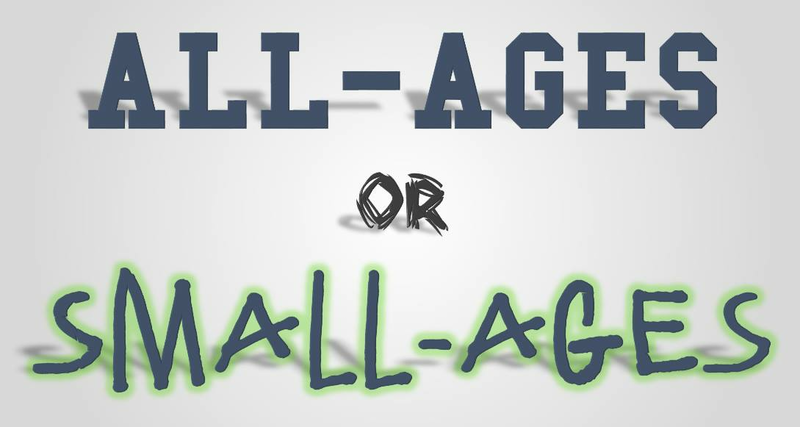 All-Ages or Small-Ages? is a feature that takes a look at the books that fall under this banner and attempts to analyse whether or not their assigned label is apt; is it a book that you can read along with your children? Action Lab have created some amazing all-ages books in the past, such as Princeless as reviewed in a previous entry in this series, so when it became clear that they were still pushing for that diversity in their publishing line, it was obvious that some further exploration was needed. 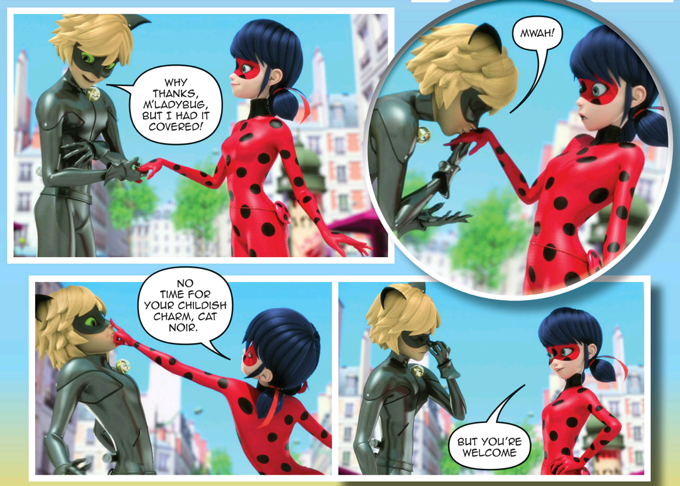 Miraculous: Tales of Lady Bug and Cat Noir is a superhero story, based on a French cartoon, told from the perspective of a young woman with the superhero alias Lady Bug. With an unrequited crush on a local boy, who she unknowingly teams up with in his alter ego, Cat Noir, there’s soap opera and superheroics abound that leads to some very promising situations. If you’re someone who cannot stand any melodrama peppered alongside watching your heroes fight against their villains, then this might not be the book for you. However, there's a complexity to it that makes me think that you should give this series another chance. The way that the “will-they-won’t-they-but-of-course-they-will” dynamic plays out is so adeptly handled that it’s difficult to view it as anything but endearing. So often, characters that have been narratively predetermined to end up together will have near-misses, but these are protagonists that, while under the cover of their superhero identities, enthusiastically flirt back and forth. It’s diametrically opposed to their civilian personas in a way that only serves to make both far more entertaining. Even though these are clearly youthful characters, there’s an aura of age and experience to them that stops you from feeling as though you’re butting in on a comic aimed at a much lower age audience. A particular example is the main character’s best friend, Aliya, who acts with a degree of maturity and forethought that I honestly wasn’t expecting from the art style. Aliya handles her little ward in a dire situation with a grace that gives her a credibility as a three-dimensional character that has a knock-on effect to the rest of the story. The art style invokes a style of television program that you’ve probably seen advertised that airs on Disney Junior. Although there is a period of adjustment, honestly only because you expect a certain shallow style of storytelling, it has an undeniable energy to it that makes each page feel like a dynamic entity in and of itself. While there are definitely exceptions, there’s a inter-panel connectivity that allows you to fly through the story, creating the illusion of flickering pictures in front of you; at the end of the day, isn’t that what all comic art aspires to do? The design of this book, from the costumes down to the gadgets, is iconic from the very beginning. Both the protagonist and deuteragonist demonstrate such a wide array of gadgets, albeit to varying effect, that it gives me faith that this world still has tonnes of unrealised potential. There are moments where it’s unclear whether or not the item that they’re using is meant to be ambiguous or there’s some preceding material that I’ve missed, but I’ve already got enough good faith that everything will eventually make sense. In terms of the structure of the narrative itself, it already has a strong procedural “Villain of the Week” vibe that might be a turn off for some people. However, with the teases of an overarching plotline building in the background already, there’s a real sense that these creators have a clear and defined plan for how the entirety of this series is going to unfold. With extra-length (68 pages) issues, it all comes together to create a product that unquestionably feels substantial; unlike some properties, Action Lab are definitely delivering spades of both quantity and quality. I'll admit that I felt, for the first few pages of this book, that it was going to both read and feel like a children’s cartoon in the purest sense of the description. Luckily, when the main plot started to kick in and all of the characters started expressing themselves, I found myself absolutely falling in love with all of it. There’s a contagious enthusiasm and sense of brightness to everything that, even though you know that everything is going to be alright in the end, it feels both fresh and exciting. Don’t let the animation trip you up; this is a book for everyone. Let me know if there's a comic that you think I should be checking out. I'm always on the look-out for some more hidden All-Ages gold. Contact me at mark@thegreengorcrow.com or head over to check out the podcast that I co-host You Know What I Like...? on SoundCloud.